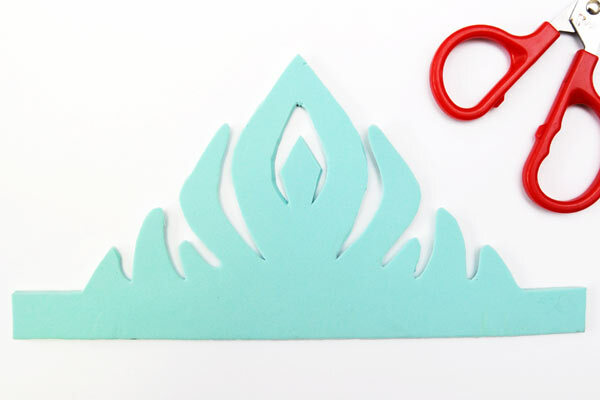 Our princess crown templates are inspired by the characters from the movie Frozen. 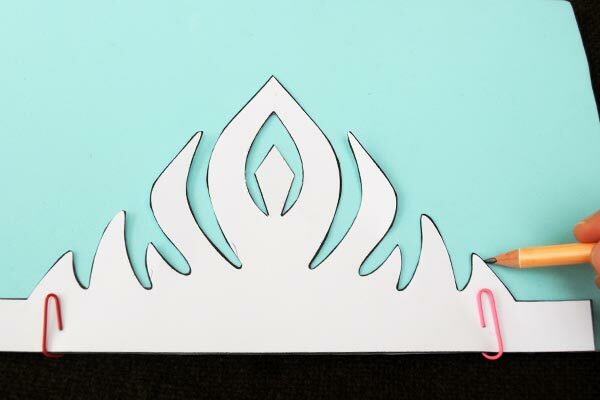 Make lovely Princess Elsa or Princess Anna crowns out of paper or craft foam in just a few easy steps. 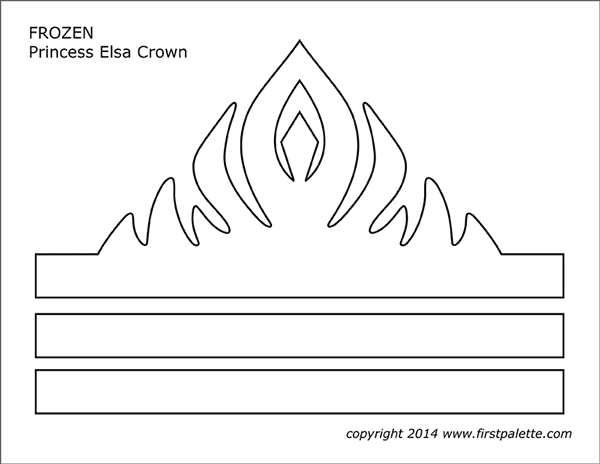 Print out the any of these Frozen Princess Crown templates on A4 or Letter size cardstock. 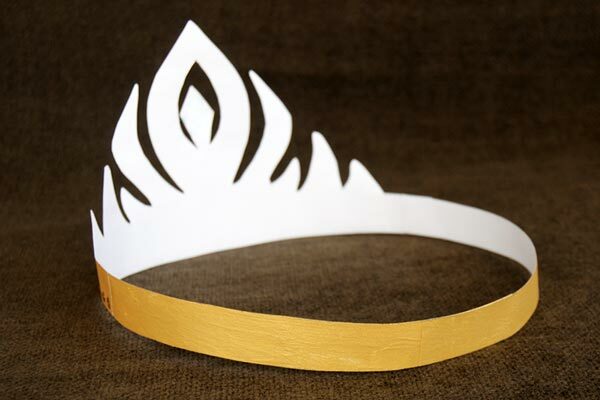 Choose the plain template if you want to color or paint your own crown. Color or paint the crown, including the two long bands. 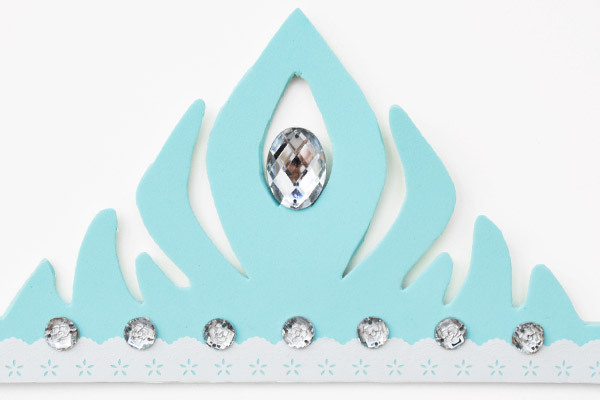 Gold or light blue are great colors for a Princess Elsa crown while pink or lavender are perfect for a Princess Anna crown. 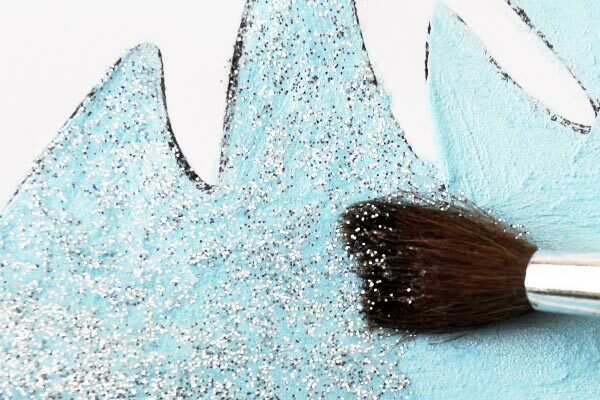 Once the paint dries, add sparkle with some glitter glue. 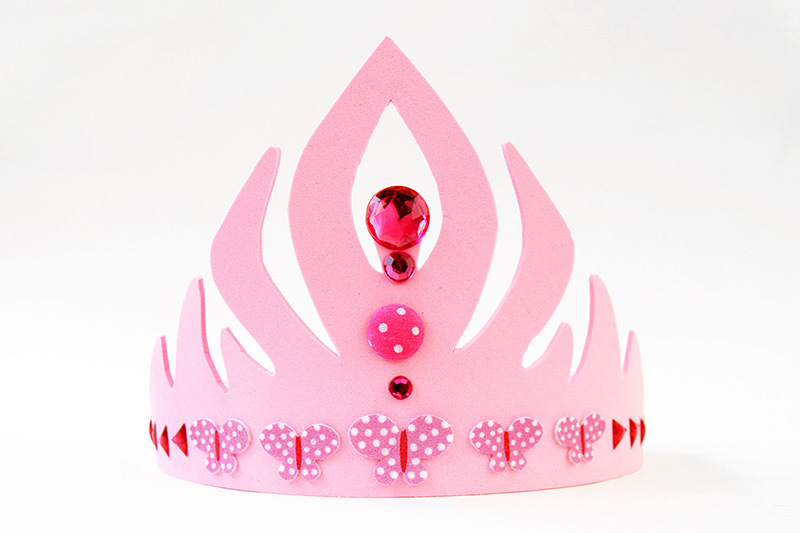 Apply dots or lines along the edges of the crown or create patterns and designs on the entire crown. 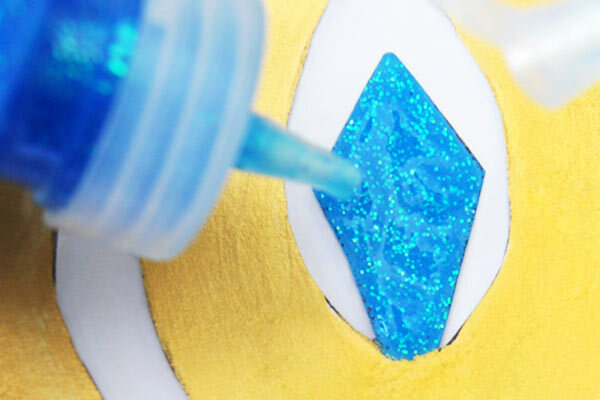 You can also apply it to entire sections such as the gem at the center of the crown. 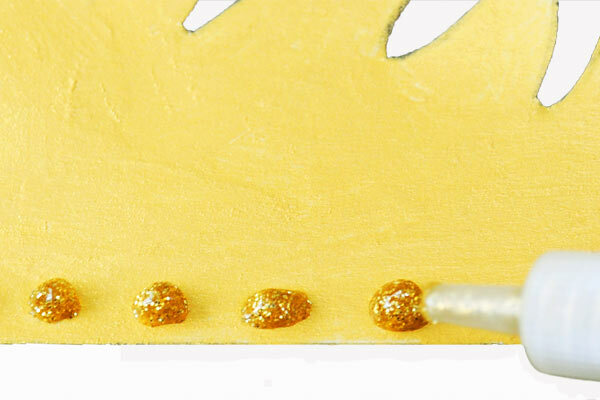 Use a paint brush to spread glitter glue on larger sections or onto the entire surface of the crown. Once the glitter glue dries, cut out the template pieces. 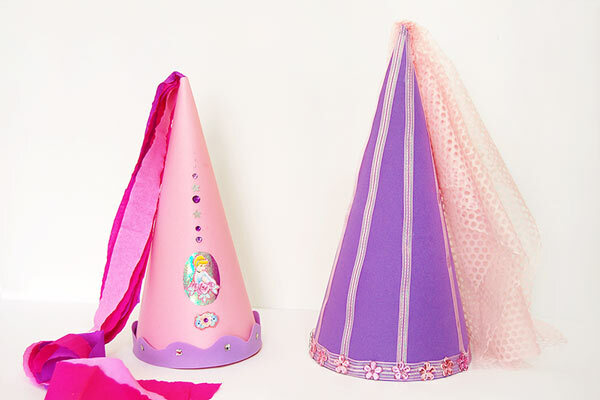 You can further decorate your crown with rhinestones, plastic gems, sequins, stickers, ribbons, lace, and other accents. 6Glue the template pieces together. Glue one straight band behind the crown template's left edge. Glue the other band behind the crown's right edge. 7Glue the template pieces together. 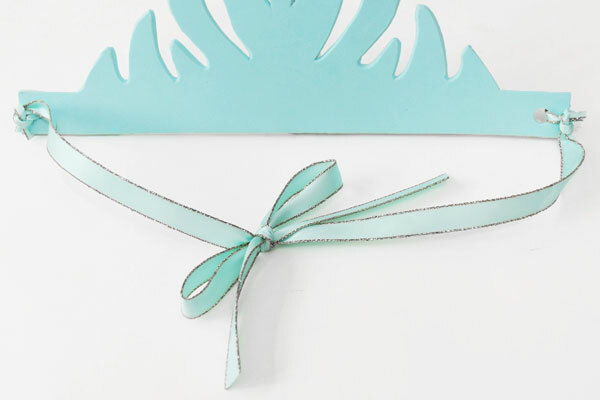 Finally, try on your pretty princess crown. 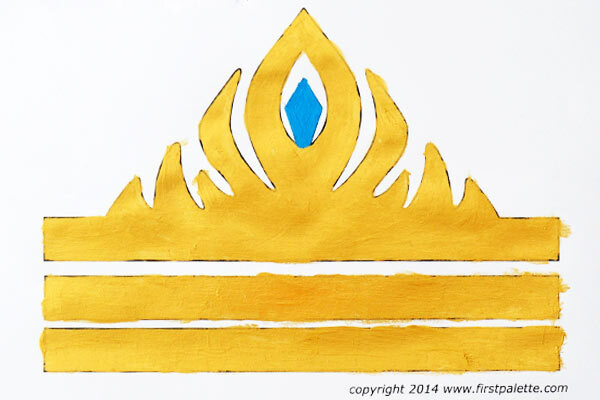 The gold crown looks just like Princess Elsa's, don't you think? 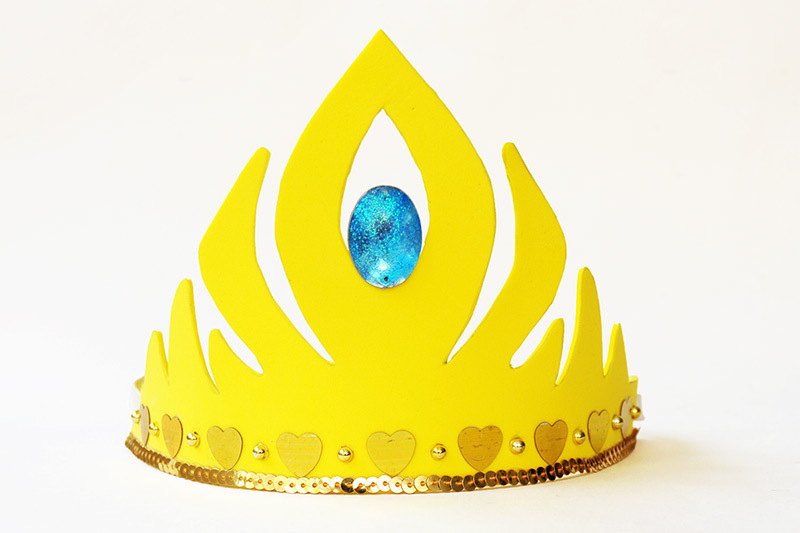 A sparkly blue crown will look really nice with a blue Princess Elsa gown! 1Print out the plain template. 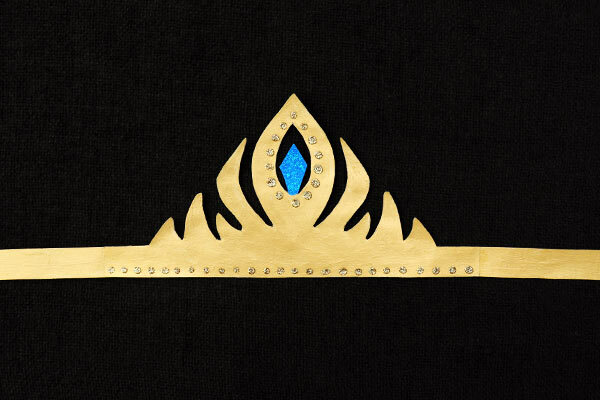 Print out the plain or black & white Frozen Princess Crown template. 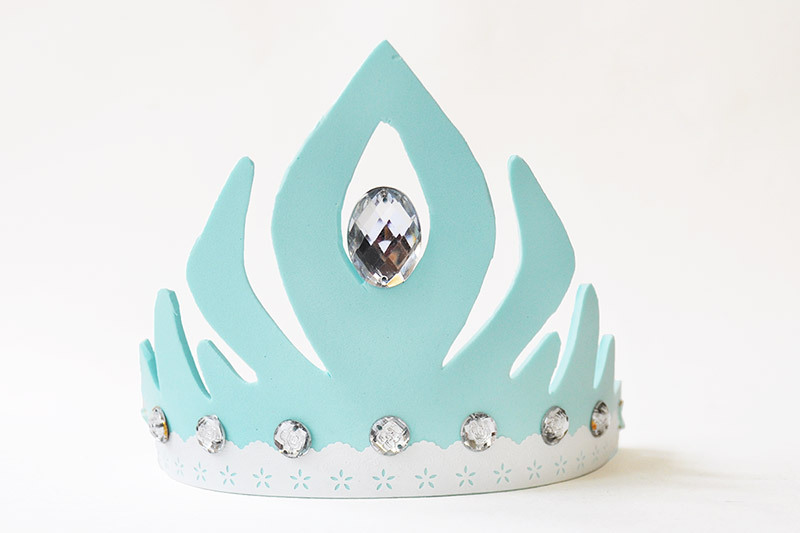 Glue a large plastic gem at the center of the crown. Trim the excess foam around the gem. 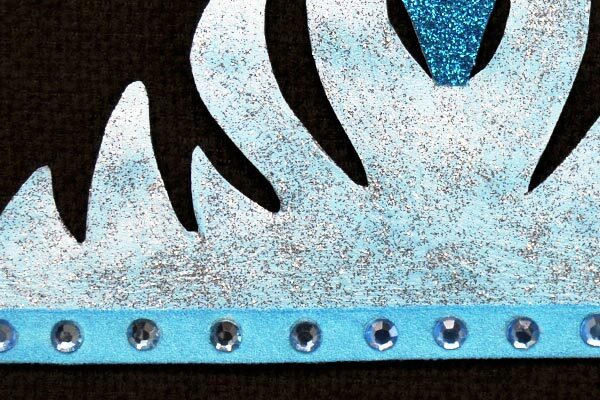 You can further decorate the rest of the crown with a variety of materials such as sequins, rhinestones, foam or fabric shapes, small buttons, stickers, ribbons, lace, washi tape, and other accents. 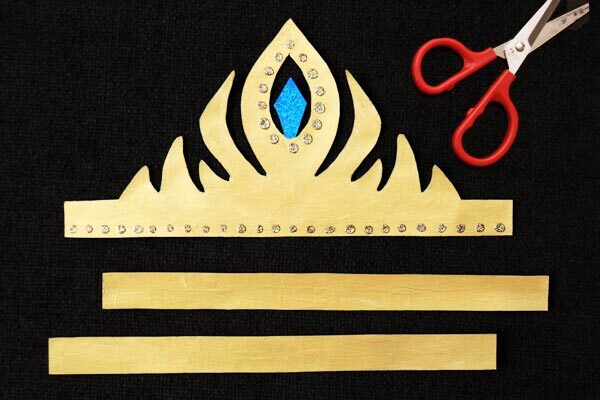 In order to wear the crown, you need to attach a strap or a pair of straps to hold the crown in place around your head. a.) Ribbons - cut 2 strips of fabric ribbon, each at least 12" long. 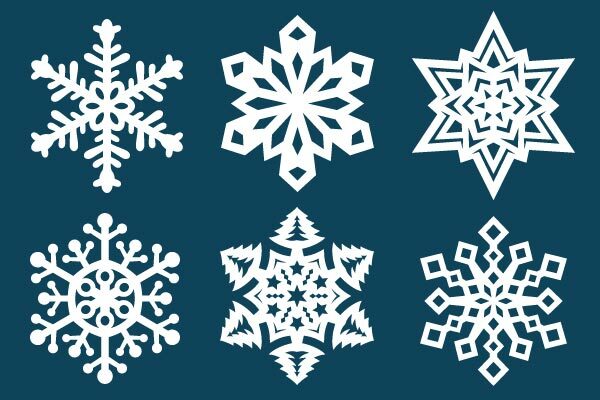 Punch a hole each on the right and left edges of the crown. Tie one end of a ribbon around each hole. 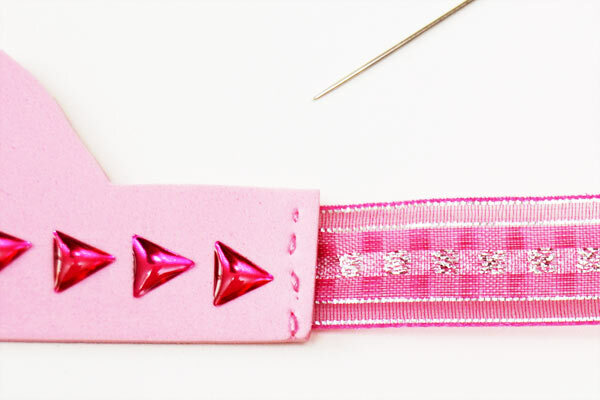 Tie the loose ends of the ribbons together towards the back as you wear the crown. b.) Elastic band - cut a strip to about about 10 to 12 inches. Insert the ends of the elastic band through the pair of holes on the crown, knotting each end from the inner side of the crown. 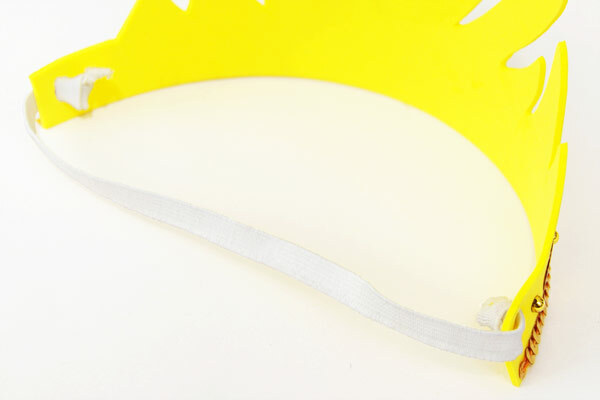 For a more durable crown, you can stitch the ribbons or elastic bands onto the foam crown. 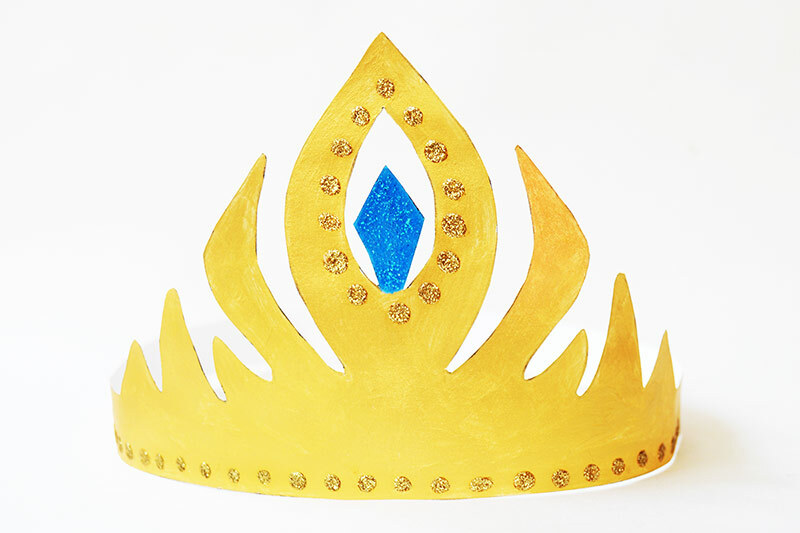 Try on your lovely craft foam crown. 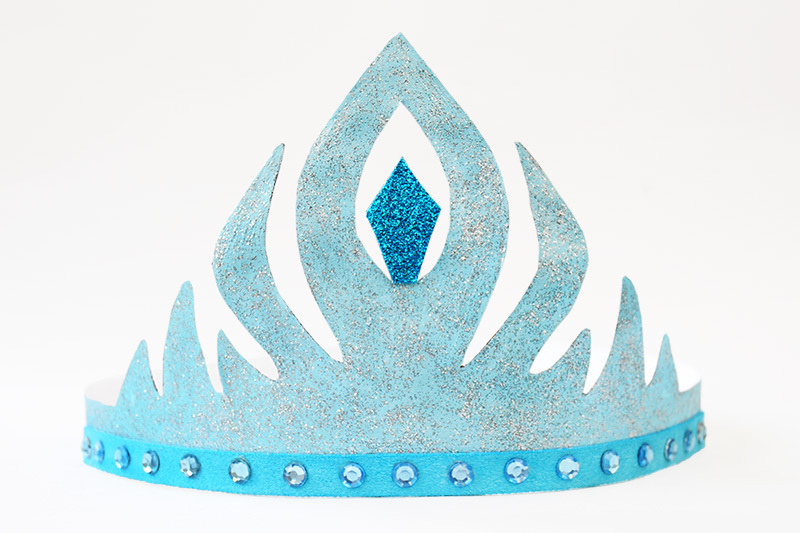 Dress up as Princess Elsa with a light blue or yellow crown. 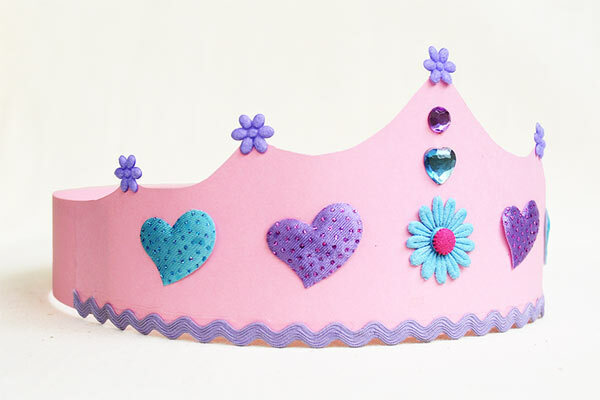 Make a Princess Anna crown with pink or any craft foam color. 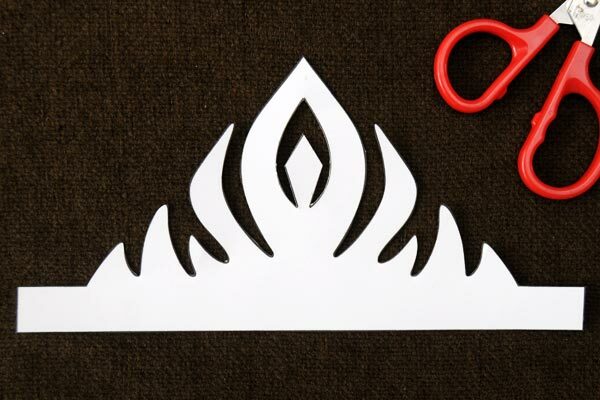 You can also use other crown shapes such as templates 1 or 3 of our prince and princess crown templates.